Barbour New Tyne Sports Crew Neck Sweater. The Barbour New Tyne Sports Crew Neck Sweater is made in 100% pure new wool. 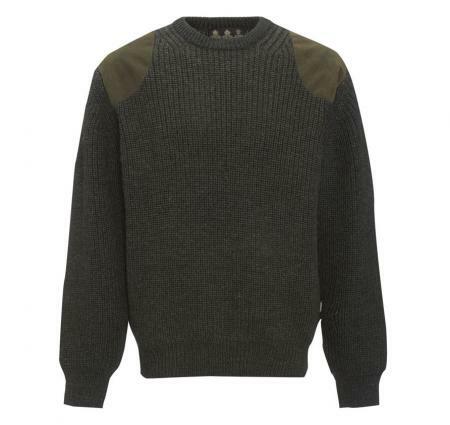 Knitted in 5 gauge wool, this Barbour sweater is chunky knit, with set in sleeve. This sweater is hand finished in Scotland by Barbour and is hand washable. Sweater length 24-27 inches (58-65cm). Available in olive or derby tweed. Make your choice of chest size and colour from the pull down menus below.SALE!